Mental illness is a common health problem. It includes a range of conditions, such as depression, anxiety, and bipolar disorder. Mental illness affects people's thoughts, feelings, and behaviour. Most often, people have and show early signs of illness. Learn what these signs are, so that you or someone you know can get help. Warning signs of mental illness vary by person and problem. Below are some of the most common signs. • Changes in mood. Your feelings may alter over time or all of a sudden. In addition, they can shift back and forth. For instance, you may feel happy or excited one day or in a certain situation. Then, you may feel sad or upset the next day or in a new situation. • Fear or uneasiness. You may start to feel afraid, anxious, nervous, or panicked. • Decreased performance. You may notice that your grades begin to drop or your work suffers. You may find it harder to complete things that once were easy or enjoyable. • Lack of interest. There are several things that can cause you to lose interest in certain things or people. This can lead to broad or complete withdrawal. • Altered senses. Your basic senses - sound, smell, touch, or sight - may become more or less sensitive. • Lifestyle changes. You may sleep longer than usual or have a hard time sleeping. You also could develop an eating disorder, where you eat more, less, or not at all. • Troubled mind. It is possible to have clouded thinking that makes it hard to focus, remember, or process things. • Changes in behaviour. Your actions may alter in ways that are abnormal for you. • Loss of control. Over time, you may lose the ability to manage stress, tasks, or life's demands. • Out of touch with reality. Mental illness can cause you to become detached from your surroundings. You may feel lost, distant, or numb. You may have hallucinations or nightmares. You may forget how to relate to others, or show care or concern. • Alcohol or drug abuse. • Feelings, thoughts, or actions of anger or violence. • Unexplained physical symptoms, such as stomach pain and headaches. It is important to know the signs of mental illness because it affects so many people. You or someone you know may have a problem at some point in your life. If you know the warning signs, you can detect them early on. The sooner you see a doctor and get diagnosed, the sooner you can begin treatment. Do not ignore these warning signs. It can make mental illness worse and cause harm to others. When you learn about mental illness, share information with others, and talk about your story, you help stop the stigma. Contact your doctor if you have multiple warning signs. They will do an exam and discuss your state of health. Only a doctor can diagnose mental illness. If someone you know displays these signs, talk to them about your concerns. Suggest that they visit a doctor to find out what is going on. Seek help right away if you have thoughts of murder or suicide. Call 911 or the National Suicide Prevention Lifeline at 1-800-273-TALK (8255). • How can I tell if I have a mental illness? 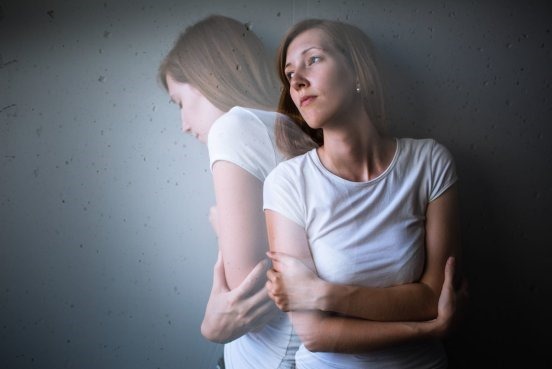 • How can I tell if someone I know has a mental illness? • Are there other warning signs I should look for? • What are the best resources to use if I want to learn more about mental illness?